You are currently browsing articles tagged career. T-SQL Tuesday 42: Life, Change, Don’t Panic! 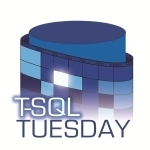 Look at that, it’s T-SQL Tuesday #42, how can I miss that?! This month’s party is hosted by Wendy Pastrick and the topic is about change in the work life, possibly related to technology. Well yeah, in my career of approximately fifteen years now I can write a couple of words on that subject. Here’s the story of my career. For those who don’t know me yet I have something to confess: I used to be a software developer! And I’m not ashamed to admit this. Perhaps not that surprising, fifteen years ago you didn’t finish your studies to conclude: "And now I’m going to be a Business Intelligence consultant!". Oh no, not at all. During my studies, out of all possibilities, I already knew what I liked most: to develop software. And I also quickly learned that my favorite language would not be COBOL, too outdated. It wouldn’t be Visual Basic either, feels like you’re writing a book. I prefer the shorter C/C++ syntax style. I also knew that I didn’t want a consultancy position. I considered a consultant to be an expert, and how could I be an expert after just having finished my studies?? The first three years of my career I was an in-house C++ programmer. Then I got involved with a software package that was written in VB6. They were lacking manpower to implement new functionality and I was asked to help out. So I did some programming in VB6 because there was no other option. Then the first version of .NET arrived and guess what I did? Part of the package’s functionality was the import of data out of flat files. My job was to automate this process. SSIS would have been perfect for the job but that didn’t exist yet. I did use DTS for a couple of things, but not here. The existing code consisted of about 15,000 lines of VB6 code which means redesigning was not an option anyway. So I wrote a Windows service in C# that called the VB6 code! Process automated! I’d also been using C# to write a couple of tools to help me in my day-to-day job. Then the opportunity arose to be part of a new project which would be written completely in C#. I was happy to be part of this! Compared with VB6 and VC++6, the new Visual Studio for .NET was really a joy to work with! After a good year or so, upper management decided to go on the free tour: instead of .NET we were required to use Java for any new development projects. Sure, why not give that a try then?! One of the subprojects on which I worked was an activity monitoring tool for our server application. I ended up developing some stored procedures to extract statistics out of logging tables. At that time I wasn’t familiar with the ETL acronym yet, but that’s what I was doing. Nowadays I would use SSIS for such a task. There was also a reporting part to the project so I coded a website, in Java, to display those numbers, with drill through functionality and all that fancy stuff. Nowadays I would definitely use SSRS! Several months and lots of code later I realized that I didn’t enjoy Java (and all involved tools, libraries, …) as much as I enjoyed C#. Sure, I could get stuff done. But it wasn’t always as straightforward as I would have hoped, and online info was not as good – in my opinion. After ten years of being an in-house developer at three different companies, I decided the time had come for a bigger change! What I haven’t mentioned so far is that practically all projects in which I was involved used SQL Server as database engine. And I always enjoyed playing around with that. In my new job I would no longer be an in-house employee and my main activity wouldn’t be writing code: I became a SQL Server Business Intelligence Consultant! My employer, Ordina, gave me some time to cope with the change. I was allowed to spend some weeks studying books and even going for a week of training (SSAS). I was also encouraged to start blogging. Initially it was a challenge to find topics to blog about. But only initially, nowadays I’ve got too many topics and not enough time. I discovered it was actually interesting to write about things I’d encountered for real. Here’s such an example. In one of my shorter project interventions, I ended up calling a web service through SQL CLR. This was not an easy task. Without my developer background I would probably never have succeeded here! When I turned this into an article on my blog it became my first real hit! The article, Calling a Web Service From SQL Server 2005, was posted Nov 11, 2008 and has gotten over 26,000 page views to date. Even today it is still one of the more popular pages I’m hosting. Besides teaching others through my blog I also discovered that forums can be a really interesting way to improve skills. So in August 2008 I created a free account at Experts Exchange. I also found out that helping out on forums combined with blogging is a real win-win situation: it helps me to find topics to write about and I can help people out by referring to an already-written article! In February 2012 I was delighted to read that EE had found my forum activity worth an extra credit so I was given the MVE – Most Valuable Expert – award! Since then I have managed to reach the number one position in the SSRS zone with over one million points in total and it looks like I’ll be staying there for some time. Lately I have started presenting. So far I have found that to be a stressing yet rewarding experience. My next presentation will be at the Community Day where both I and my colleague Koen Verbeeck will each talk for about half an hour about SSRS visualizations. The target audience are mainly developers, that’s going to be interesting! And it will be my first time on a stage in a cinema room, fearing the spotlights already! Ow, and registration is open so see you there? Come over to say hello if you are planning to attend the conference. We are scheduled in the first slot so once that’s over I’ll be relieved of my stress! Did a change in technology influence my career path? Ow yeah, I do believe it did! SQL Server was not the only tech that influenced it but I do consider it the most significant one. And I’m glad it did too, keeps things challenging! Now I’m off to install Oracle. So long, and thanks for all the fish! PS: one of my statements in this post is a lie.